This is even truer for languages which are spoken by fewer people than most of the more commonly studied languages. As is often the case, the announcements on the page will be in your target language and sometimes English (or something else). Use these translations and detect patterns accordingly. Thankfully I have not often been targeted by genuine ridicule (although it has happened). I was once told by someone that I had no reason to be interested in Greenland, followed by a list of its social problems. (I remember this as the “Greenland is a Shithole” speech). Interestingly the person who gave me this speech relented later on after a few weeks. Behind what appears to be ridicule is actually amazement that is sometimes littered with more than a hint of jealousy. More often than not, a lot of this ridicule was directed at my oddball hobbies or my odder languages. And to be fair, most of the time it was genuine curiosity rather than mockery. And I genuinely appreciate that curiosity and I treasure every moment of it! If you are feeling that others are discouraging you from your path, this is a good sign. If you feel that others are intrigued by your path and fling lots of questions at you, this is also a good sign. I’ve seen it everywhere that I’ve been. You think you’re the only ones that have accents that “can’t be changed” or a reputation for “being bad with languages?” Nice try. You are very much not alone with that reputation…and let’s be honest, a lot of it can be done away with it very easily. And there are actually some places (Norway comes to mind) where Americans have an easier time picking up the local language than members of most other nationalities. There is really one thing holding my American friends back in this regard: belief that they can’t. Belief that you can’t learn a language well as an adult. Belief that they’re not cut out for the task for whatever reason. My goal is asking where my professor is? Make myself understood. My goal in watching children’s television in the target language isn’t to understand every word that is said. It is to put meanings on enough words so that what is happening becomes clear. Perfection will come later. And most native speakers tend to not have perfection either. So don’t get nervous. Just understand that you have only two goals: make yourself understood, and understand. Knowledge of Other Cultures and Languages Enhances EVERY ASPECT OF YOUR LIFE! With each new language you get more songs, more idioms, more inside knowledge, more sides to your personality, more inside jokes…actually, it seems that you get more of everything! Even if you only know the language on a very basic level, there is something that changes within you when you genuinely commit yourself. 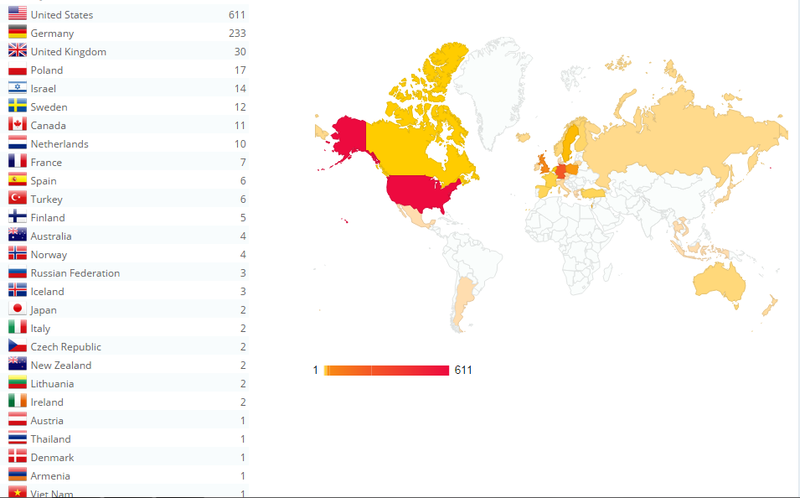 Two days ago, the hits for this blog hit the quadruple digits! This is how I had to endure my semester a year ago, in which every single course of mine was held in German (although sometimes the instructors let me answer questions in either English, Hebrew or Yiddish). I was self-conscious about my accent in the language. I was self-conscious about my grammar. I thought that people would correct me excessively. It was a mind-numbing experience, one that made me feel tremendously stupid! My self-esteem was in another dimension and you can imagine the relationship I had with my American upbringing at that point. As it turned out, one fine day I met Isabella the Italian, who turned out to not have any of this self-consciousness in regards to her language journeys, even if it meant using words in English while speaking German or using Italian while speaking English. Even while doing this, she laughed, she kept her peace of mind, and wouldn’t let a single mistake or slip-up faze her. I wasn’t going to let this difference in passports phase me. I took up the same variety of carefree learning spirit, and with this came the final transformation in my soul from polyglot-wannabe to genuine speaker of many languages. No matter how many words you learn, no matter how many mistakes you make, without a certain peace within yourself, you cannot speak any second language well. I will never forget the time when I was surrounded by a bunch of students in Heidelberg from various countries. Hopping languages from Hebrew to German to Swedish to Spanish and English again, I had some people begging me (cutely, not desperately) to pick their native tongue as my next language. Whatever you might have heard about “being answered in English” might tell you, the fact is that everyone craves whatever attention may be given to their native languages, however badly it may be spoken. I’ve seen Greeks light up in jubilation with just a few words of the language. Not even the nationalities with the reputation for being the most emotionless of all are immune to this charm. Admittedly there are some countries where the local language(s) are put down, but if anything you should take this as “playing hard to get”…not also to mention that every place that comes to mind where this is the case has people who put on vastly different personae outside of their home countries. Even if you had to stutter (as I did when I first ordered a drink on a Finnair flight), even if you have to mix up a gender (as I did with Swedish for the first time) or use an incorrect idiom (too many times in German and in Hebrew to count), your effort will matter, and people will notice! There is a special phrase in Finnish that I like to use when trying to sell an idea: usko pois! (literally: “believe away!”) That is to say: take it from me, and you can thank me later. I certainly found this a lot easier to do in New York City than anywhere else, but gone are the days where I felt that having a foreigner speak English to me at all is an insult. What I sometimes enjoy doing is juggling various languages between someone who speaks several in common with me, and it can be surprisingly easy to keep this precedent going! Usually you don’t even need to ask to switch the language, just make the switch and then the conversation will follow accordingly. Translations Create an Entire New Dimension for a Text / TV Show / Etc. I remember a popular sport that my flatmates and I had at the National Yiddish Book Center—to watch the same portion of a Disney Musical Film in a series of different languages one after another. This can be surprisingly addicting, although the quality of dubs is, in the case of most languages, all over the place. With every language grounded in the source of its origin, the translations can diverge significantly. Imagine something like ice cream sundae with different toppings or flavors. The language alters the flavor of the work accordingly. You can experience the same text or episode in a different way and actually notice other things that you haven’t seen before, perhaps highlighted by a well-delivered line or by an oddity that becomes more apparent in one translation than another. I got this over and over and over again during my time living in the city. In New York City, however, I was met with a surprise. From the very first week, I had certainly heard Spanish and Chinese being regularly used, but now that it is nearly two months that I have spent here, I ran into more Scandinavians on the streets of New York than I have Slavs and Germans and Romance Language Speakers (other than Spanish) put together! Upon studying many languages in a similar area, you begin to realize that each language tells a story—one of its own culture’s relationships with others, one of its own culture’s struggles, and also of its hopes. Trying to list ways to prove that is something for another time. But another thing that happens is that you get to see certain pairs of languages which seem uncannily similar to each other. The fact that English and Icelandic/Faroese share many idiomatic structures shouldn’t surprise anybody (e.g. “I am with child”, made famous from the story of King David, parallels an Icelandic method of indicating ownership by saying “Ég er með…”). But here are some other pairs that are more surprising. The fact that English and Modern Hebrew share close idiomatic links is often overlooked by the many Americans and other English speakers who take Hebrew classes every year. This is in part because of the British Mandate of Palestine, but also because of American and English-Language influence on Contemporary Israel. The American Olim brought their idioms with them from across the Atlantic, and many of them have impacted Modern Hebrew’s development very starkly. There are people in other countries (Germany and the Netherlands come to mind) who do use lots of English words in their native-language speech, but not as often do they translate the idioms into their languages. Modern Hebrew has done exactly that, in too many examples to even count. Another example of European influence with a non-European language has been the exchange between Danish and Greenlandic (c’mon, you guys know me by now, of course I would mention it!). 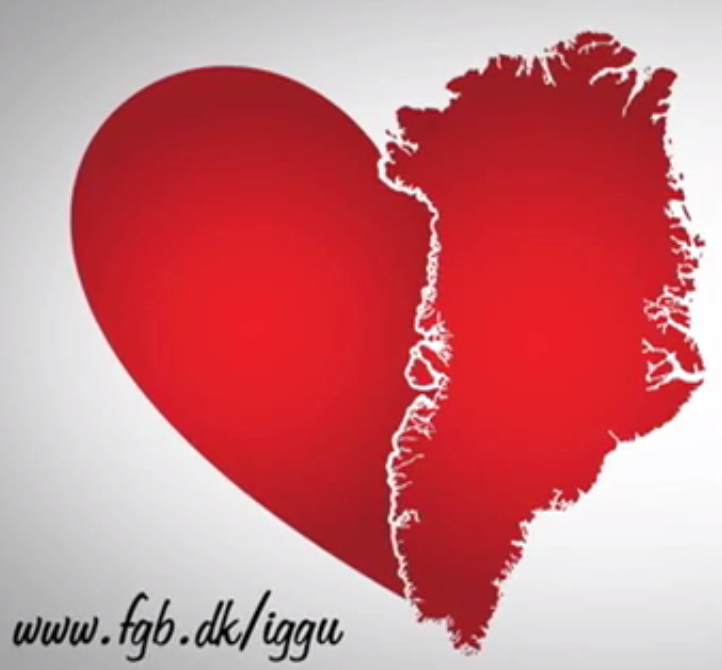 Danish favorites, such as “lev vel!” (bye bye, meaning “Live well”, “tak for sidst” (“thanks for the last time”), “vi ses” (“We [will] be seen [by each other again]”) and “velkommen (“welcome”) got translated literally into Greenlandic, courtesy of Oqaasileriffik (the “Greenlandic Language Secretariat”, which creates purist words, place names, and personal names). It is a literal translation of “come well”, which is exactly what “welcome” and “velkommen” and its Germanic siblings all convey! In their idiomatic structures, Finnish and German are quite similar. Wednesday in both Finnish and German indicates “middle of the week” (“keskiviikko” and “Mittwoch”), whereas in Swedish this isn’t the case. The compounding of nouns is nearly identical in both languages and the sentence structure in Finnish is closer to German than it would be to Swedish. This is probably due to trade routes, although definitely some German structures that existed in Swedish were thrown over to Finnish as a result of Swedish control of the region. A surprising amount of cognates similarly exist between Northern Sami and Swedish/Norwegian. One example is that “Stora/Store” (big) becomes “Stuoris”. The word for chair is “stuollu” (stol), the word for fox is “rieban” (my first Northern Sami word, actually, coming from Norwegian “reven”). I was shocked to see how many of these exist in the language (I can’t speak for the other Sami Languages), and nothing that I saw in Stockholm’s Nordic Museum on the Sami People and Languages alerted me that this would be the case. Like the English idioms in Hebrew, the scope of these import words is quite mind-boggling. And for a final pair I’ll leave you with Irish and Biblical Hebrew. Yup. You read that right. A number of my professors mentioned it throughout the years, but I still don’t have a convincing theory as to why this would be the case. Both languages lack indefinite articles. The idea of prepositions with a personal ending exists in both. The sentence structure in both is so congruent that I find it almost frightening. That isn’t to say that they are all the same—Irish, like Spanish and Portuguese, differentiates between two states of being (“ser” in Spanish would be “Is” in Irish, and “estar” in Spanish would be “Tá”). In Hebrew, like in Russian, there is no present tense of the verb “to be” in conjugated forms. There are also some cognates between the other Germanic Languages and Hebrew, “אֶרֶץ” vs. “erde” (German), “לְהַצִיג” vs. “Zeigen” (also German), and others that a professor of mine told me about but don’t come to mind too easily. One thing that I truly have noticed: sometimes similarities can note a language’s diplomacy and history. But at other times similarities are just coincidences. I have so many of these throughout my collection of languages and beyond that I could make a case as to how any two languages are related. But just because I can do it doesn’t mean that I should. Or maybe you’re going to put me up to the challenge? One fine evening in New York that probably wasn’t as cold as it is now, I was asked on not a few occasions if I had a favorite language. As much as I love all of my commitments, the fact is that I cannot budget everything equally (and I think that almost no one can) and therefore I (and many other polyglots) do end up playing favorites by default. Don’t believe me? Have a look at the tag categories above. And should you have the good fortune to have read other blogs written by those who have learned multiple languages in adulthood, expect something similar: some languages are mentioned in their writing more than others, and it is clear that the levels are not all the same and that those that are the best are likely those that they put the most time into. That being said, I believe that there are multiple ways to choose favorites, and while I have no favorite language overall, I can say that I play favorites in specific categories. And should you want to ask me for more categories, nothing is stopping you. Norsk Bokmål, as spoken in Oslo in particular, has maintained an allure for me every since I first heard it in Stockholm. The fact that it is very closely related to English in many regards gave me further incentive to commit time to the project. One thing I noted about Norwegian Language Learners is that they tend to hop right into native-level material (even if for kids) a lot earlier than learners of many of the common “high school” languages (Spanish and French being the best well-known). About the sound: most people from the rest of Scandinavia note that Standard Norwegian has a unique rhythm that is reminiscent of a lilting song. Many of my Swedish friends are very much enchanted by the language and call it “magnificient” and “wonderful” and many other varieties of praise-laden names. Much like mathematics, virtually the entire language, minus loanwords (mostly from Danish) works in this fashion. There are suffixes that all have functions that you need to learn (not unlike mathematical signs). Greenlandic is also home to my favorite word in any language, “qaqqaqaqaaq” (there are lots of mountains). When I described this language to my mother (who only speaks English), she told me that the language “sounds easy”. There are only two real difficulties with Greenlandic: (1) relative lack of learning materials (especially if you don’t know Danish) and (2) the fact that it is very much different from any language that is commonly studied (i.e. don’t rely on any cognates whatsoever, unless you have studied other Inuit languages). Much like German and Dutch, Danish is also heavily insulted by many just by virtue of its sound. Drunk Norwegian is one of the tamer names I’ve heard, with the harshest being the unfortunate but memorable “Danish sounds like vomiting”. Of the languages of Europe that are spoken by more than 1 million people, the two that are most closely related are Danish and (Standard) Norwegian. The written languages in particular are very close, but as one of my Swedish friends said, “I can read Danish, but when spoken, it sounds as strange to me as Chinese”. As to Yiddish, it is probably the West Germanic Language that gets insulted the least but made fun of the most. I have written on both of them here and here. Two-way tie with two honorable mentioned: Greenlandic and Yiddish, and honorable mentions Finnish and Modern Hebrew. Greenlandic enabled me to glimpse the culture of an island that everyone on the planet is familiar with but tend to not think of as a place where people live. The “push-pull” between the Inuit and Danish spheres of influence is a source of creative tension that powers the entire culture of the country. I myself am vegetarian and I dread the thought of seal meat. What I do not dread, however, is the world that opened up to me as a result of my venture and how it changed the way I see everything in the Americas in particular. Yiddish is also a tension between many European elements and the cultures of the holy tongue (as far as Yiddish is concerned, this is a blend between Hebrew and Aramaic). It also enabled me to understand my culture in a way that most Jews today just cannot fathom, not just as texts or politics or prayers but as a way to taste life—a flavor concocted from too many lands to list. As to Finnish, J.R.R. Tolkien taught himself the language and likened it to a wine cellar that few people venture into. The languages that he (make that “we”) created share influences from this language (What’s it with Finnish enthusiasts creating artificial languages? 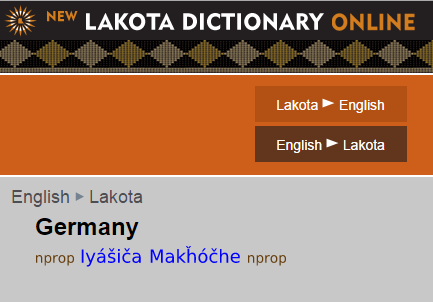 There must be something in it…as we would say, “katsokaa itse!” [see for yourself!]). But most people associate Finnish with “being difficult” and little else. 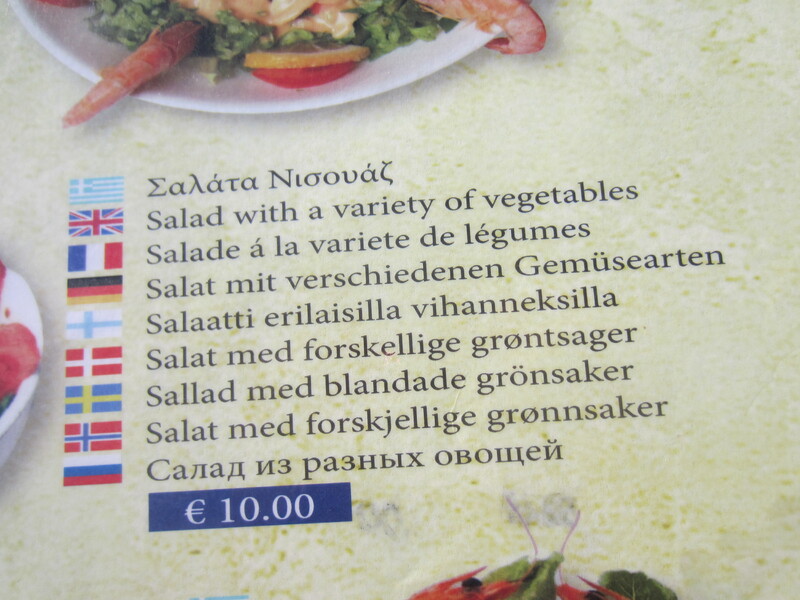 As for Modern Hebrew itself, it is a cultural salad, not unlike Yiddish, Dutch, and Estonian (and definitely many other languages about which I have scant knowledge). Before Modern Hebrew, the language was merely something scriptural, something used for prayer. After Modern Hebrew, it became the result of a grand experiment as to what would happen if you took a holy language and let it travel the world for a long time. The result makes you think more about how a language can evolve, and where our languages are going and where they could go. 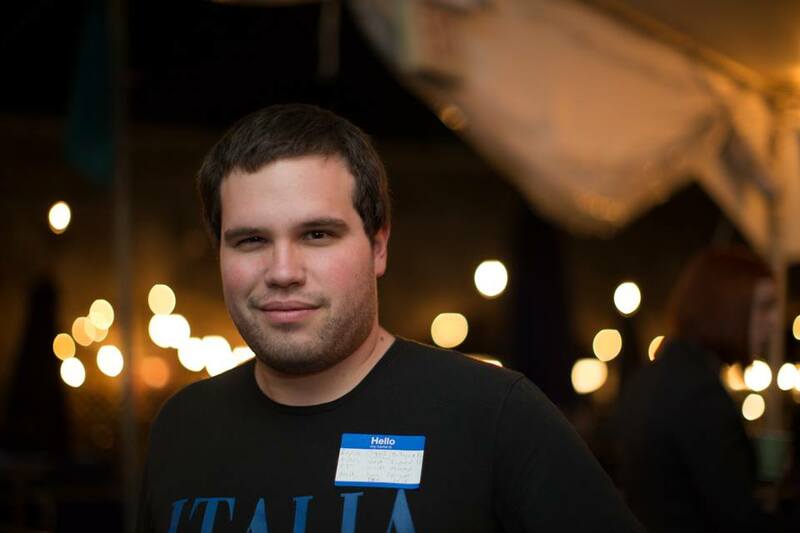 Thanks to this blog and also my reputation, I often get suggestions as to what language I should try next. Here’s the thing that happens (almost) every single time I get recommended something. I have encountered one too many people, professors as well as students, who believe that the road to any journey begins with a course—as if it is the only way that anyone learned anything. The fact is, that a journey can begin with many other routes, often far cheaper than any course. It could begin with independent research, a small book, or even an Internet website (or collection thereof). I have a lot to do already. Over the course of this week I have decided that I am going to neglect some of my current languages and bring up some others (I’ll reveal which at some point, provided that my decision remains intact). Why don’t you try to learn language X? I’ll give you the advice you need. Not that any of it would be original. Most of my ideas aren’t. Most of my methods for doing anything aren’t. I didn’t say it was going to be easy, however. The journey is twisted, long, and full of obstacles and setbacks. Some of the time, it may be full of shame and self-doubt and vexation. But nothing’s stopping you from undertaking it. And even if you decide to turn back, you may find out that it was well worth it and that you learned something. The road is right there in front of you. Sometimes, you don’t have to pay any money for it. Most of the time, you don’t need to pay hefty fees for programs or courses. All you need to do is be ready to experiment, and be ready to persist. The prizes that you will find later will thank you. Maintaining languages can be a stressful job. It can be an extraordinary juggling act past a certain number and obviously some members of the language club get more privileges and time than others. I’ve noticed that this is true for most polyglots that I have met. And my list reflects the fact that I am not as much interested in speaking lots of languages as much as doing what I want. It is because of this that I had really kept some of my languages at a static level, sometimes even at a beginner level. It seems that I wasn’t really going forward with Russian or Polish (both of which I am quite poor at) and that I really wasn’t going too far with Northern Sami either. Faroese I am most likely to push forward into an Intermediate level, and Italian may remain in beginner mode as well. If the need arises, or if the chemistry is sparked again, then most assuredly I will take it up without question. As for the languages which I do not have a strong control of but am studying some time, my first priorities are Irish and Icelandic. Again, to arrive at these, I had to really ask myself, “what do I really want?”, and tried to block out professional goals and other things that would impact my own heart’s desire in making this decision. The flashcarding and DuoLingoing for the other “flirting” languages will remain in place for the time being. The very least I can have is a good head start. 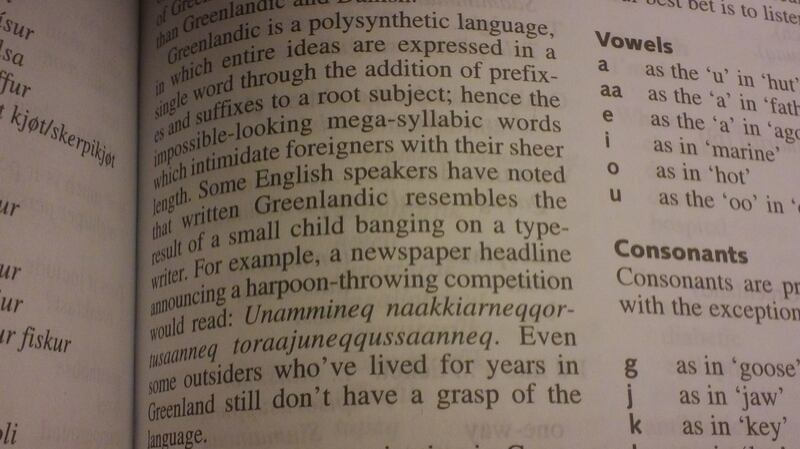 Get Greenlandic to Fluency! This is NOT going to be easy, but it is my most specific goal right now. Already I seem to be speaking it a lot better in conversations with myself (and when other people ask me to speak it) with a noteworthy amount of ease. Weaning myself off my phrasebook would be necessary, and I have a new style of note-taking that I picked up at the beginning of the year. Aside from that, I really have to change my study plans because if I keep on doing what I’ve been doing for the past few weeks I’m not going to get anywhere close to passable as a Greenlander. Get Icelandic and Irish on my list. And this means mastering the basics of grammar, phrases, being able to say simple things without flinching. Thanks to DuoLingo Irish is on its way, but Icelandic I sort of just started so I’m a bit behind. Prepare some sort of multi-lingual speech for my birthday. This is only a vague vision with no specifics but for those of you wondering my birthday is on November 20th. Now it is time to ask yourself in your life: what do you want?